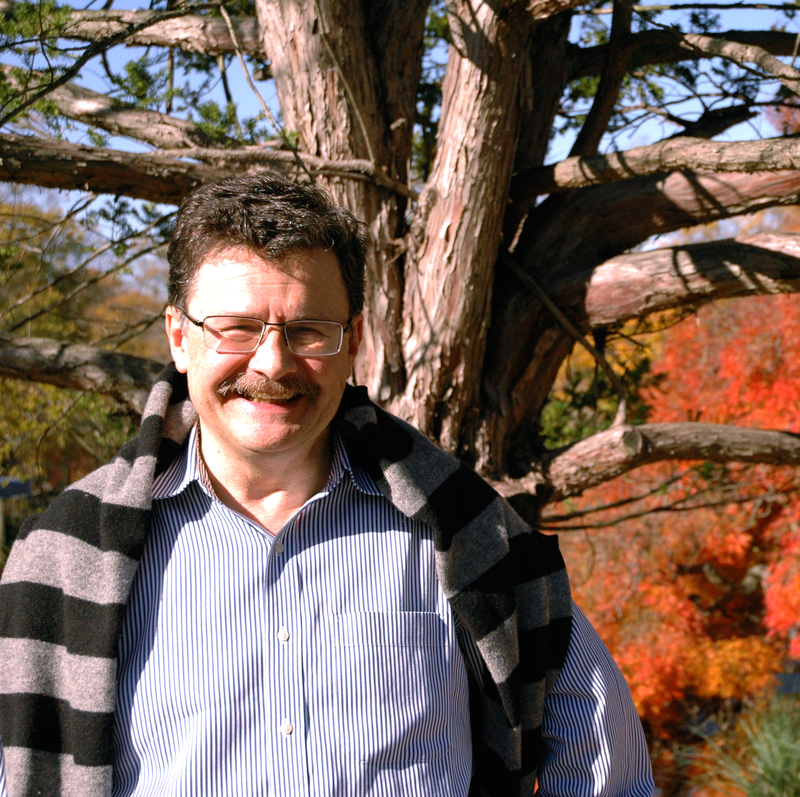 Alexander F. Goncharov's research concentrates on analyzing materials under extreme conditions such as high pressure and temperature using optical spectroscopy and other techniques. He received a Ph.D in physics from the Russian Academy of Sciences, Institute of Spectroscopy in 1983, and a combined MA and MSc in physics from the Moscow Institute for Physics and Technology in 1979. Alex began his career at the Institute of Crystallography, Russian Academy of Sciences to become a world-recognized expert in optical spectroscopy under high pressure. In 2006 he left his post as a staff scientist at the Lawrence Livermore National Laboratory (LLNL) to rejoin Carnegie. He came to Carnegie initially as a Fellow during 1993 to 2002 period, became a Senior Research Associate and as a Research Scientist in 2005. In 1991 his work won Annual European High Pressure Research Group Award for young scientists, and he was awarded by a prestigious Humboldt fellowship in Germany (MPI Stuttgart). At the LLNL we received the Associate Director (CMS) Award, 2005. At the Geophysical Laboratory today he continues leading the field of optical spectroscopy under extreme conditions of high pressure and temperature. The Geophysical Laboratory’s Alex Goncharov and Terrestrial Magnetism’s Peter van Keken were awarded a Venture Grant to apply a novel flash-heating method for high- pressure/high-temperature experiments to measure the thermal conductivity of Mars. They will then develop new models to understand why that planet cooled so fast and early. Washington, DC— Although helium is the second most-abundant element (after hydrogen) in the universe, it doesn’t play well with others. It is a member of a family of seven elements called the noble gases, which are called that because of their chemical aloofness—they don’t easily form compounds with other elements. Helium, widely believed to be the most inert element, has no stable compounds under normal conditions. Washington, DC— Earth's magnetic field shields us from deadly cosmic radiation, and without it, life as we know it could not exist here. The motion of liquid iron in the planet’s outer core, a phenomenon called a “geodynamo,” generates the field. Washington, DC—The interiors of several of our Solar System’s planets and moons are icy, and ice has been found on distant extrasolar planets, as well. But these bodies aren’t filled with the regular kind of water ice that you avoid on the sidewalk in winter. Washington, DC— The matter that makes up distant planets and even-more-distant stars exists under extreme pressure and temperature conditions.